Join Bella Li for a discussion of Michael Ondaatje's The Collected Works of Billy the Kid, the final session in our Reading for Writers book club, curated by Paddy O'Reilly. First published in 1970, Michael Ondaatje's The Collected Works of Billy the Kid is a genre-mixing text that draws upon a range of disparate sources—contemporary accounts, photographs, dime novels—to re-animate and re-imagine the figure of the American outlaw Billy the Kid. Combining poetry, prose and images, all loosely sequenced into a narrative that works both alongside and against the grain of myth and history, Ondaatje's Collected Works was one of the seminal books that helped shaped my thinking about hybridity, and the ways in which writers engage with other texts, questions of authenticity, and the world beyond their own experience. 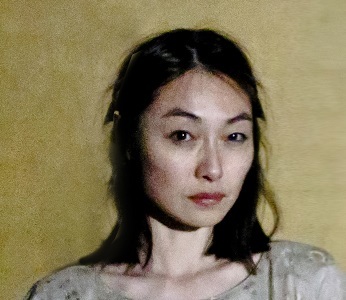 Bella Li is the author of Argosy (Vagabond Press, 2017), which won the 2018 Victorian Premier's Literary Award for Poetry and the 2018 NSW Premier's Literary Award for Poetry. Her latest book is Lost Lake (Vagabond Press, 2018).